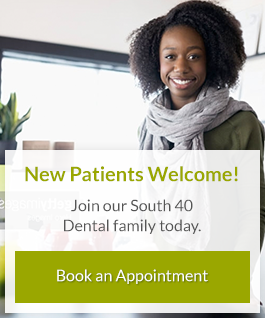 At South 40 Dental, we care about your oral health. Our team of dentists and hygienists in Grande Prairie provide thorough teeth cleaning during every appointment. We can help you establish a dental hygiene routine that will keep your teeth healthy. Regular check-up and cleaning appointments are typically recommended at 3-9 month intervals. Your dental hygienist can help you determine which frequency will be best suited to ensure you have a healthy smile for years to come. Our hygienists provide oral cancer screening, periodontal (gum) disease treatments, at-home oral health care products, and handy tips to help you achieve and maintain the smile you deserve!